AIFIS recently sponsored two events featuring eight different visiting political scholars from the United States. 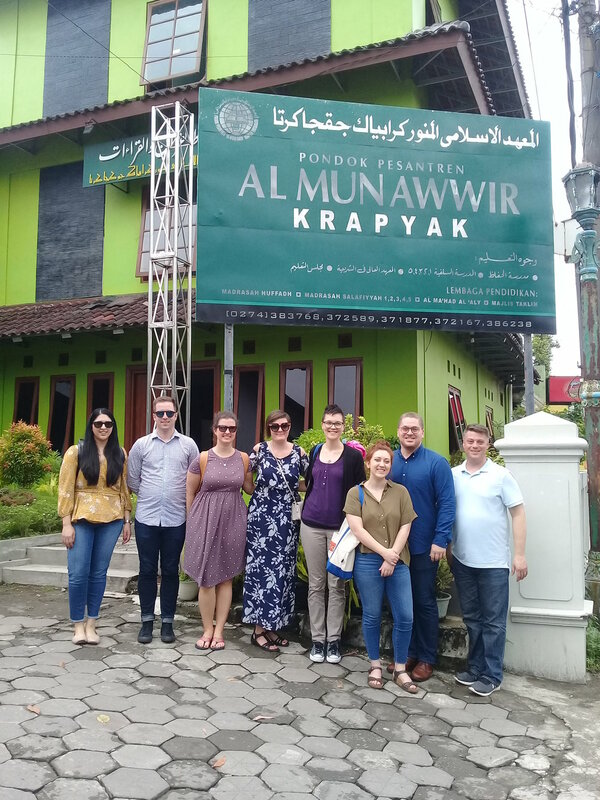 Meeting with students and faculty at both Gadjah Mada University and Pondok Pesantren (Islamic Boarding School) Al-Munawwir, the visitors facilitated discussions on democracy, Islam and gender identity in contemporary Indonesia. The visiting scholars at Pondok Pesantren (Islamic Boarding School) Al-Munawwir in Yogyakarta. The visitors helped lead discussions on Moderate Islam, Islam in Politics, and Islam & Gender. A roundtable discussion at Gadjah Mada University focusing on the state of Democracy in Indonesia today.